Aside from marrying your life partner, a wedding offers several other benefits. For instance, coming together with your spouse can essentially double your earning power, lower costs, and create other financial advantages overnight. While marriage should not be pursued as a means to earn riches, long term commitment and a thorough understanding of your partner’s financial background can ultimately help you establish a higher level of security. In today’s climate, a marriage is entered into more cautiously than ever. As opposed to being led by feeling, more people are waiting until they are older to get married, and considering a more logical approach to this type of union. After all, marriage will affect every aspect of your life, including your finances. For the most part, marriage only brings good things. However, this is not always the case; especially when it comes to your finances. Tax Benefits – While tax returns must be filed separately, married couples have the opportunity to receive deductions through a non-refundable tax credit on a T4. If you provide financial support to your spouse who earns less than $11,474 a year, you are eligible to claim this credit. Additionally, this may reduce the amount of income tax you will be required to pay. Insurance Policies – After marriage, you are given the choice to join your spouse’s health insurance policy. For people who did not receive any benefits prior to getting married, this can be an enormous perk. Policies that are offered through an employer can come at a cheaper rate than policies that are bought independently. Furthermore, home and auto insurance offers married couples better benefits such as extra protection for sentimental and everyday valuables, as well as multi-car discounts. Joint Banking – For those who live as married or common-law partners, both financial institutions and the government offer unique benefits. Married couples can choose to have a joint chequing account that makes managing expenses such as mortgages, groceries, and other expenses a relatively simple task. Other investment accounts for couples include spousal TFSAs that feature competitive interest rates and increase the more you deposit and save. Partner in Debt – While the benefits of getting married certainly outweigh the negatives, take caution before applying for a joint mortgage. While debt does not transfer between spouses, co-signing a loan may result in taking on your partner’s debt. Furthermore, if your spouse has a history of bad credit, it may hinder your ability to make big investments like purchase the home that you want. Marriage can change your finances in multiple ways. Depending on your situation, it can typically alter your current financial situation for the better. However, regardless of your relationship status, the professional brokers at Accumetrix Mortgage Alliance are happy to provide you with mortgage services to help you achieve your goals. 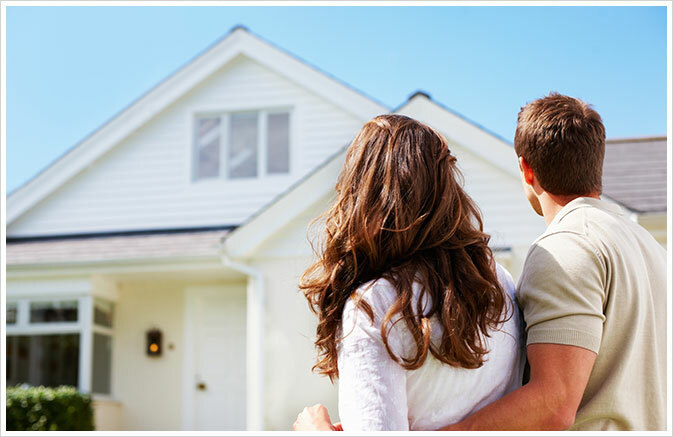 Our range of services includes mortgage pre-approvals/purchases, refinancing, renewals, and second mortgages. For the best mortgage advice, visit our brokerage firm today.